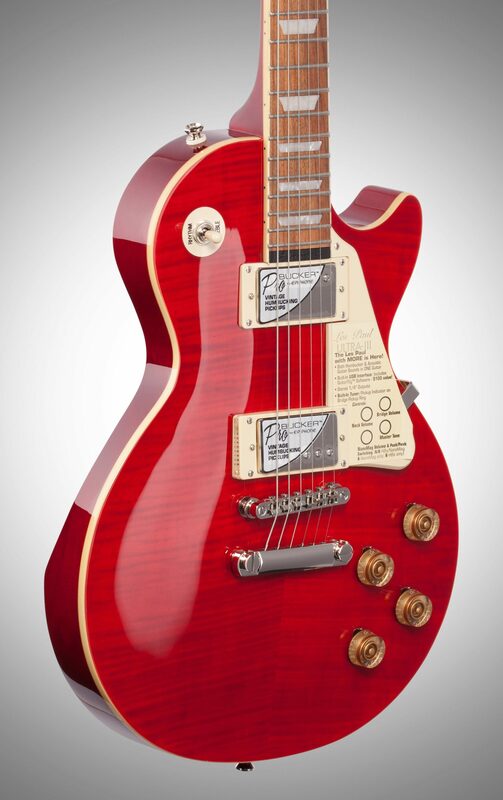 Don't be fooled by its traditional exterior -- the Epiphone Les Paul Ultra III is a technological powerhouse that combines the classic vibe of a Les Paul with an array of gadgets and features. Now in its third generation, the Epiphone Ultra series represents the guitar maker's efforts to bring the latest in modern guitar technology to an iconic instrument with expanded tonal options and intuitive controls. From the cutting-edge pickup configuration to the USB output and much more, the Ultra III is an excellent choice for a discerning player ready to put the latest in guitar technology to work. Wielding traditional Probucker double-coils at the bridge and neck and a Shadow Nanomag pickup system at the edge of the fretboard, the Ultra III gives you a palette of tonal options unlike any other Les Paul. The Nanomag is designed to capture all the nuance of the instrument with acoustic-like tones to complement the rock-worthy edge of the Probuckers. Put these to use with multiple outputting options and a three-way selector button to scroll between the different configurations. Rounding it out, Epiphone has included a control panel for the Nanomag, a chromatic tuner built into the bridge pickup ring, and a USB output to connect to the downloadable Guitar Rig LE software (free with registration!) 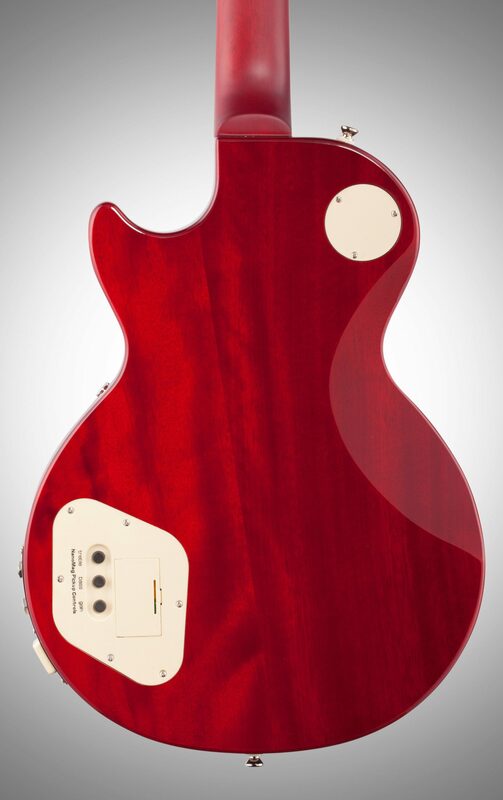 With so many features packed into the Les Paul Ultra III, you'll be shocked that the price has remained so low. 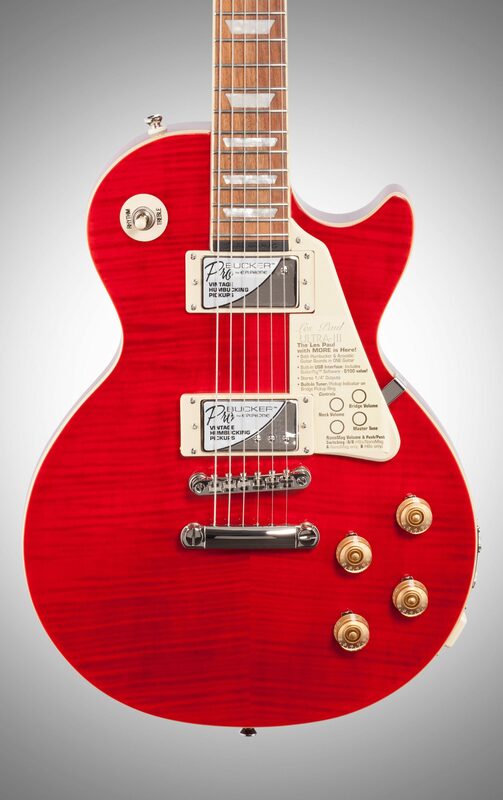 With more gadgets and gizmos than a regular Les Paul (or the Starship Enterprise), the Epiphone Les Paul Ultra III delivers the latest in guitar technology with all the swagger of a classic Les Paul. Comfortably priced and endlessly engaging, this is a guitar for the player that needs limitless options in crafting their perfect tone. Deep down, most guitarists are traditional. They love classic designs and shapes dating back 50 years ago. Well, Epiphone knows the way you feel. That's why they designed the Les Paul Ultra-III with the same look and features of a traditional Les Paul but fresh approach, giving you a guitar that's a real Les Paul but also so much more. At the heart of the Ultra-III are two pickup systems. Powering the first are Epiphone's ProBucker(TM) humbucking pickups, patterned after Gibson's famous BurstBuckers(TM). With authentic 18% nickel silver base and cover, Elektrisola wire, accurate bobbin, slugs and screws and sand casted Alnico-II magnets, they replicate that classic "Patent Applied For" airy tone that defined rock and roll. The second system features Shadow(TM) Germany's patented NanoMag(TM) pickup embedded discreetly at the end of the fingerboard. Featuring three samarium cobalt magnets, an air coil and active electronics, this low-impedance pickup captures your Ultra-III's subtle body acoustics and string harmonics. Together, you get powerful humbucker-driven rock crunch as well as shimmering acoustic-like tones -- and everything in between. If you thought the Ultra-II was jam-packed with modern features, you won't believe what Epiphone has designed into the Ultra-III. Built discreetly into the bridge pickup mounting ring is a fully functional chromatic tuner. Push its ON/OFF button and sound is immediately muted and the tuner activated. Eleven color-coded LEDs identify the note as well as whether it's sharp, flat or in tune. Also, to allow quick and seamless changes between each pickup system, the Ultra-III's NanoMag Volume knob doubles as an A/B switch. Just push it in and quickly toggle between Magnetic, NanoMag or both pickup systems -- with no delay and no "pop." Two additional LEDs on the pickup mounting ring provide a visual indicator of which pickup system is active: Red is NanoMag; Blue is Magnetic, and Red/Blue is both. The Ultra-III features three different outputs. By using the standard 1/4" MONO output, both the Humbuckers and NanoMag are mixed into one signal. When you plug another 1/4" cable into its STEREO output, the Humbuckers are routed through one cable and the NanoMag the other. In this way, you can send the Humbuckers to your favorite guitar amp and the NanoMag to the PA or an acoustic guitar amp. Using the A/B switch, you can now change on-the-fly between the two outputs. The third output is USB. Using the included USB cable, you can plug directly into your computer and use guitar applications such as the included Native Instruments GuitarRig 4 LE software to play your guitar through a variety of simulated amplifiers and effects, while listening through your computer speakers or headphones. GuitarRig also features a recorder, a metronome, a tuner and more. 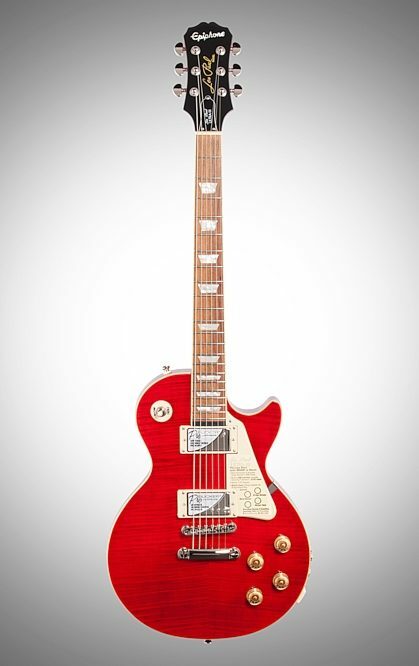 While the Ultra-III is packed with technology, it still maintains the same basic specifications that's made Epiphone Les Pauls the choice of so many guitarists, including a solid mahogany body with glued-in mahogany neck and comfortable SlimTaper neck profile, a flame maple veneer top and pau ferro fingerboard. The result is a guitar with that classic Les Paul tone and sustain. 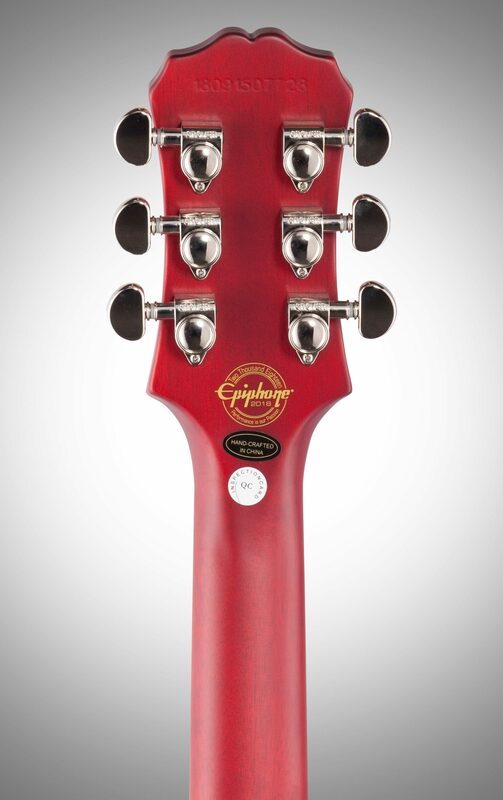 Like most Epiphones, it's also equipped with Epi's patent-applied-for LockTone(TM) locking tune-o-matic bridge and stopbar tailpiece for increased sustain and string changing ease as well as quality Grover(tm) 16:1 machine heads for tuning accuracy and stability. 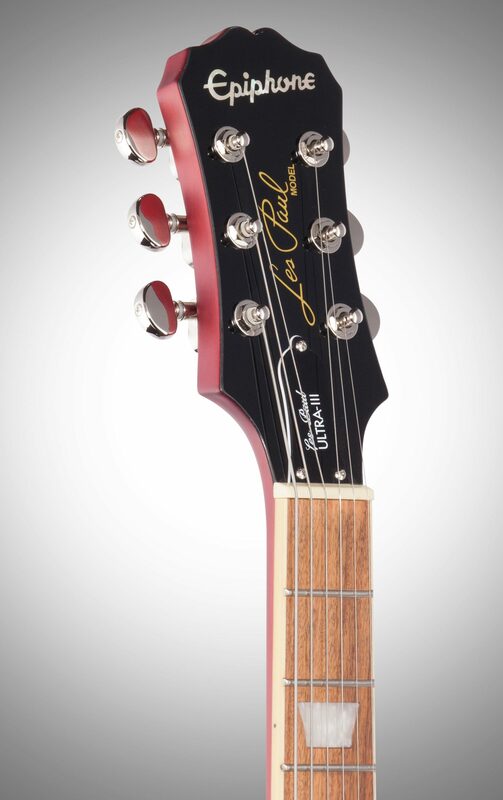 Like every Epiphone, the Ultra-III features their Limited Lifetime warranty backed by world famous 24/7/365 day Gibson Customer Service. If you want a versatile professional instrument designed for live performance or studio and capable of both Les Paul crunch and real acoustic-like tones, the Epiphone Ultra-III is an excellent choice. "This is the epiphone you want!" Overall: I'll keep this to the point. Its spectacular! I took it to the local shop for a change of strings and a first play set up and it absolutely phenomenal! ProBuckers crunch heavy, the acoustic bridge sounded phenomenal (at first it was a little off until I realized all the knobs were turned up in the back). I took it to Guitar Center to test it out on an Orange Cab and when I switched it to dual HB/Acoustic setting, it drew a small crowd. People thought it was the amp!! One thing that scared me-when you engage the auto tuner, it cuts off the sound. Took me a minute to realize, but fear alleviated once I did. It's not as heavy as a standard Les Paul, which is REALLY nice-bye bye neck ache after playing 3 hours! 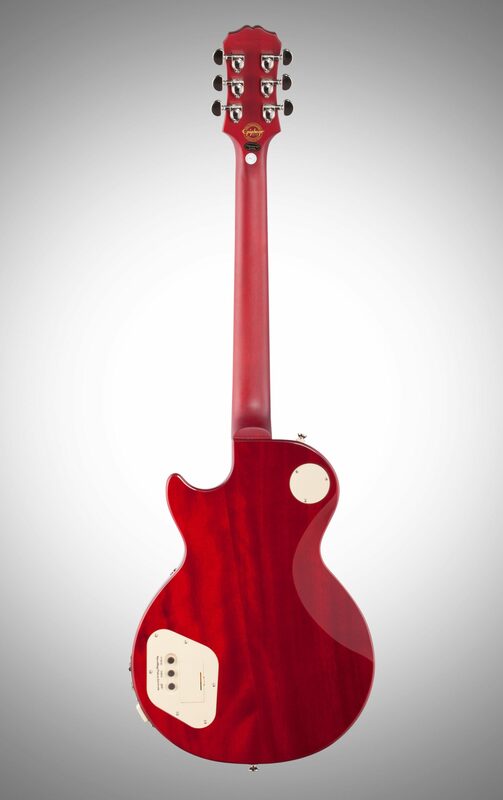 Slim lined neck with Satin finish absolutely rocks. No more sticky, sweat high gloss neck issues!! Lastly-ZZOUNDS absolutely rocked. Opted for the play and play thing-wasn't sure I'd qualify, but they got me sorted out and it arrived the next day.....Unbelievable! So---This is truly a great guitar with so much option that you can't go wrong! 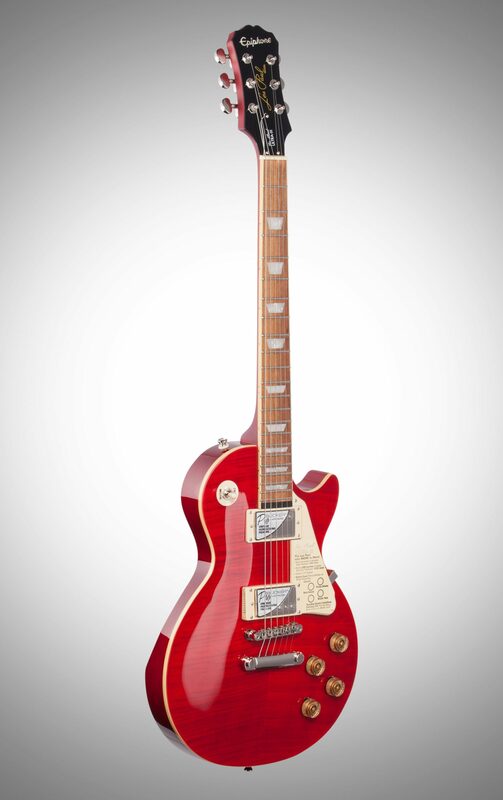 700$ is worth it for this guitar and I suspect you will make it your all rounder!! "Wow! Exceeds my expectations at every turn." Overall: Arrived well boxed and in the case I ordered with it. Thanks Zzounds! The guitar is flawless in craftsmanship and finish. Intonation was spot on straight out of the box which is a first for me. The tones you can get from the pups are amazing. Mixing in that nonmag signal to the probucker sound really gives the guitar a whole new dimension. The probuckers on this chambered body have a different quality than the same pups on a solid body. It sounds great, just different. Maybe more full bodied with chimey bell like quality. The D slim taper neck is different than the 60s taper on my 60 Tribute Plus. It is definitely thinner with a much flatter backside. I have stubby fingers and its the first guitar neck that feels like it fits my hand like a glove. The belly scarf is great for playing seated. Lightweight too. Mine came in at 7 pounds 1 ounce. I didn't think I was going to like the tuner when I ordered it but it is really a great feature. The whole display is a bit bright for my liking, so I'm going to have to find a way to tame the LEDs down. This was an outstanding addition to my guitar collection. Buy one. You will not regret it.